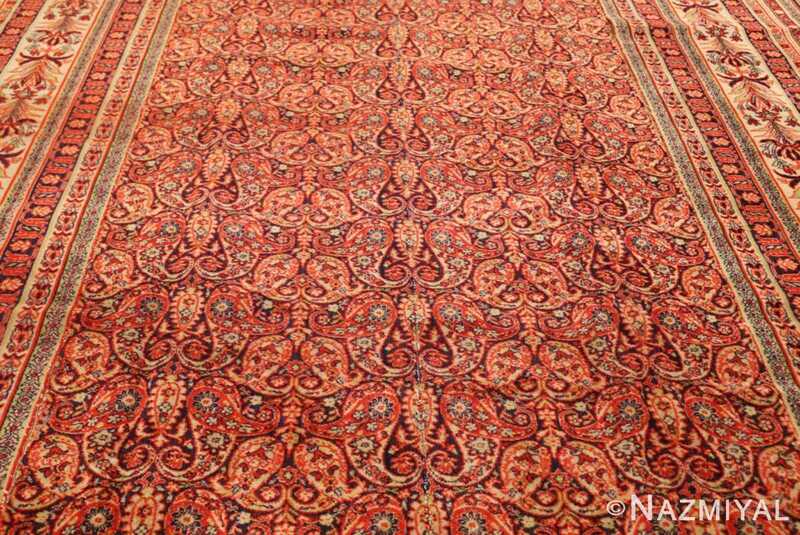 Antique Wilton English Carpet, Origin: England, Circa: Early 20th century – A closely arrayed pattern of Persian origin using paired ‘Boteh’ or Paisley forms in a range of rich colors repeats as an allover design across the field of this dazzling antique English Wilton carpet. 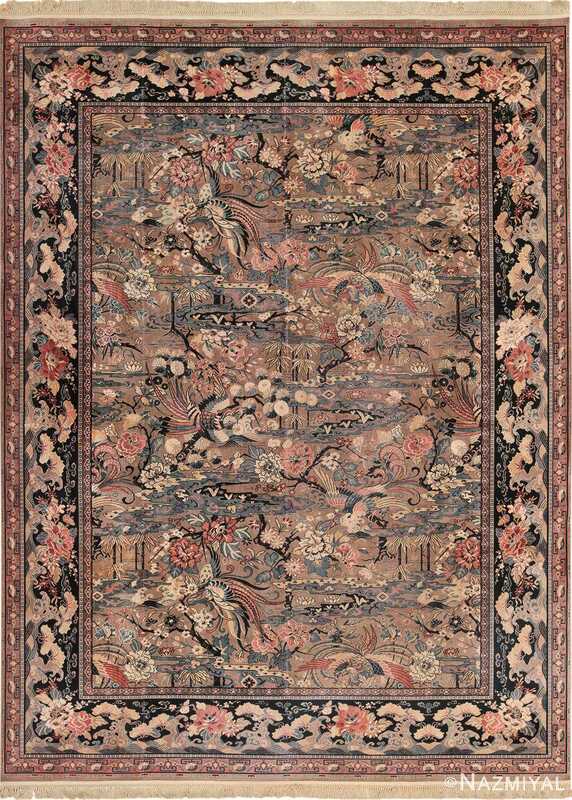 The main border consists of lush palmettes arranged in a connected linear or vertical sequence as a ‘candelabra’ pattern on an ivory ground, with various smaller borders of simpler vinescrolls. 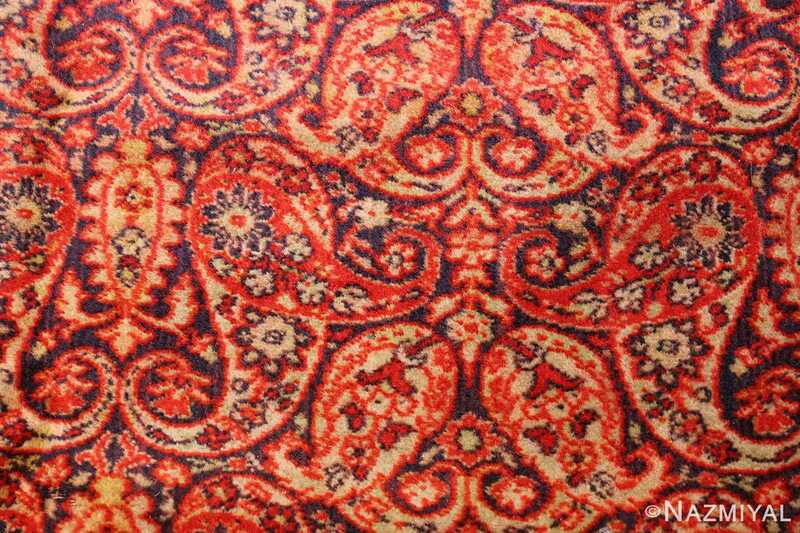 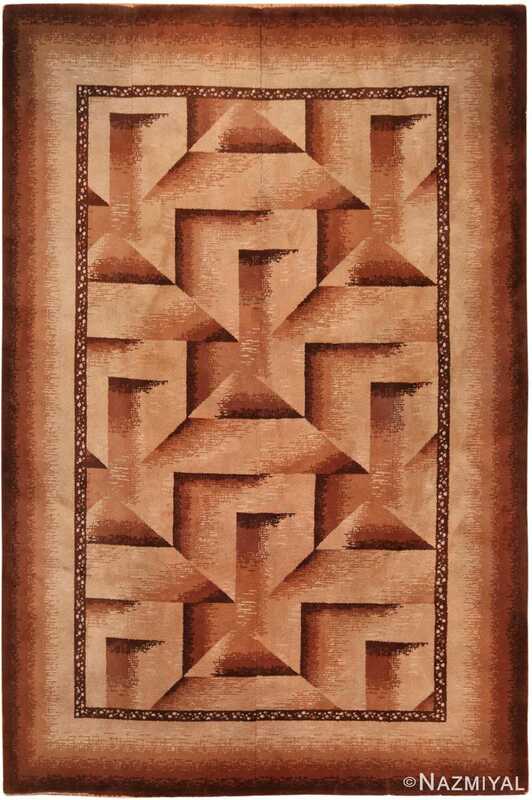 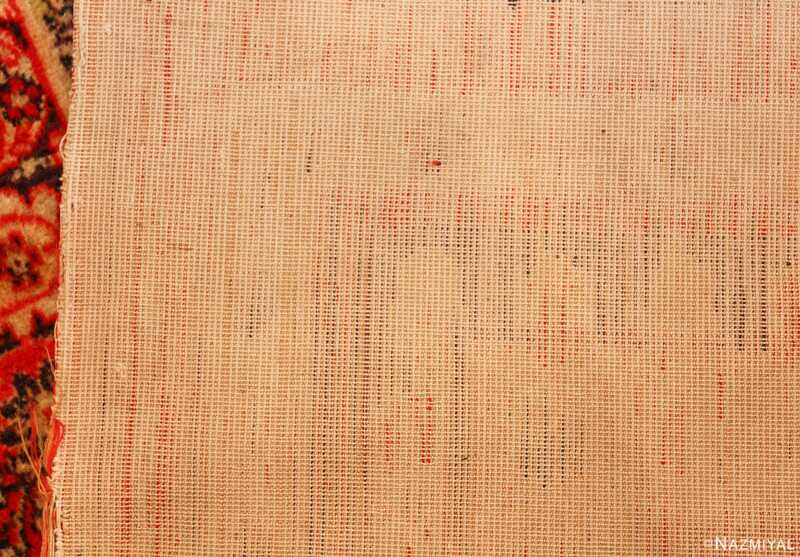 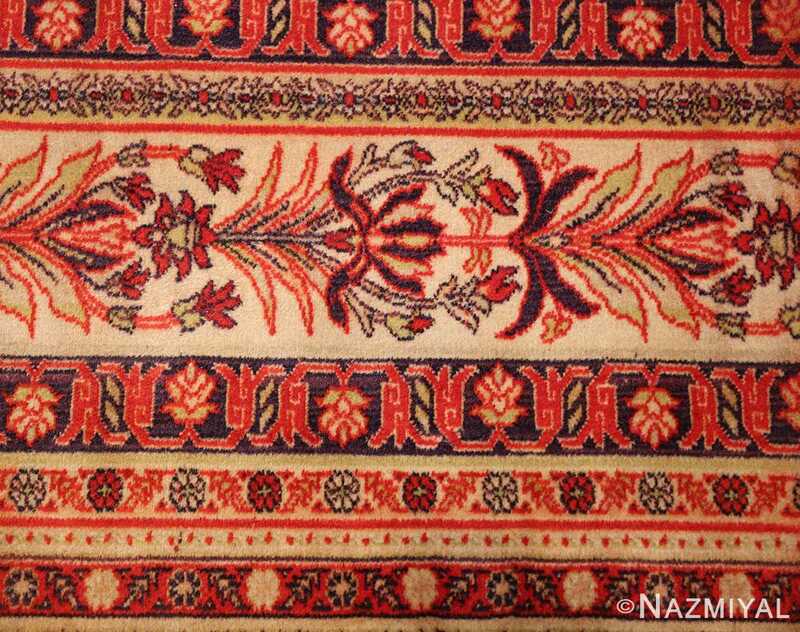 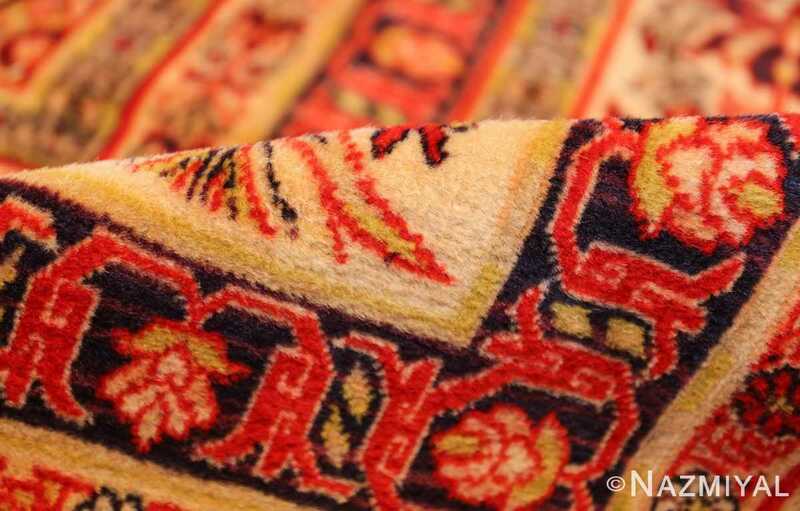 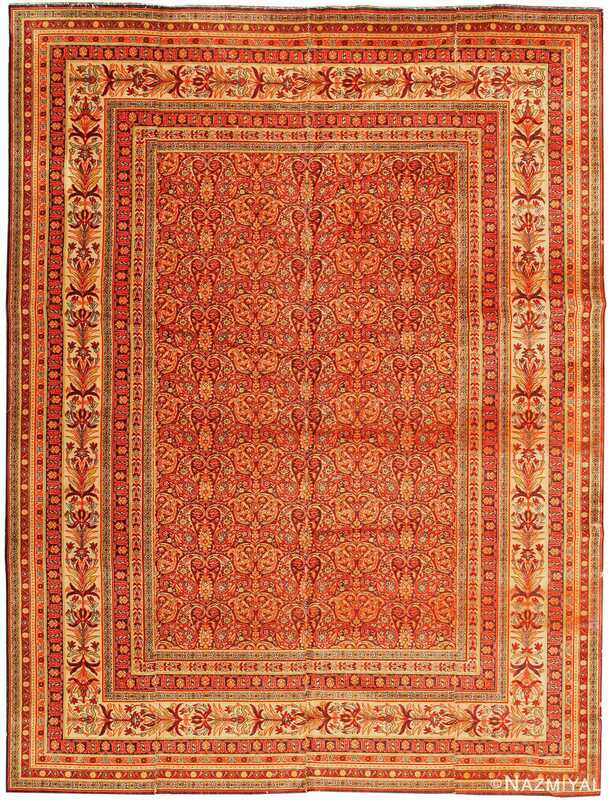 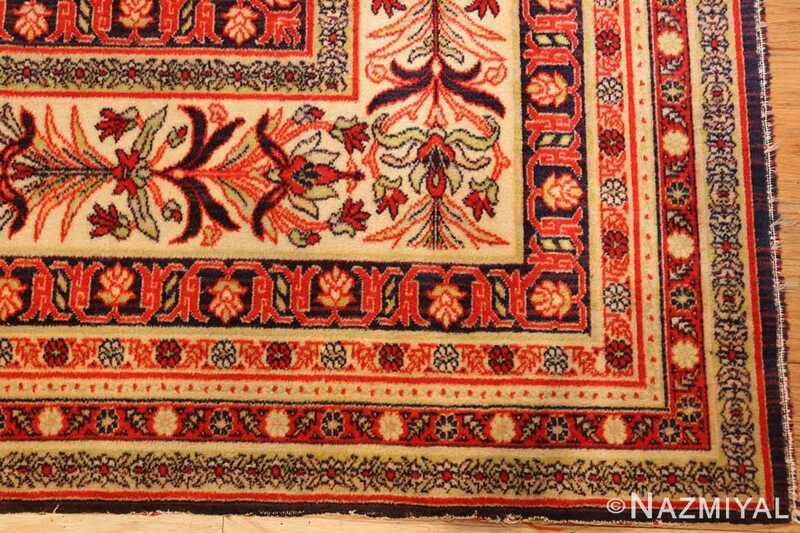 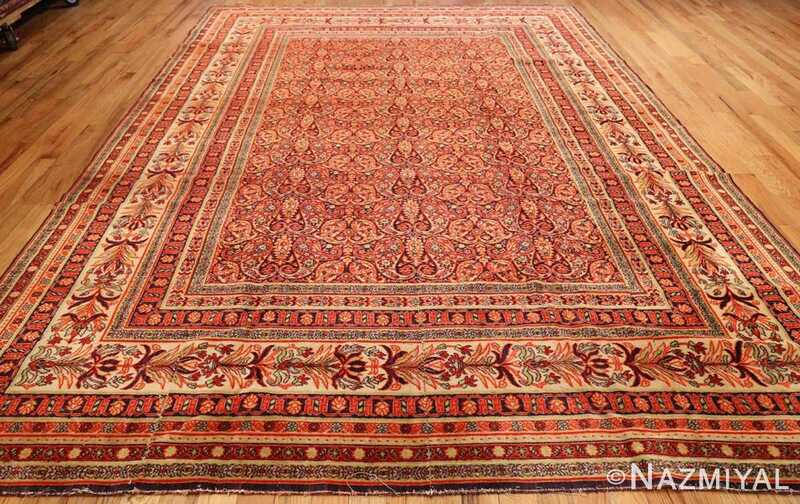 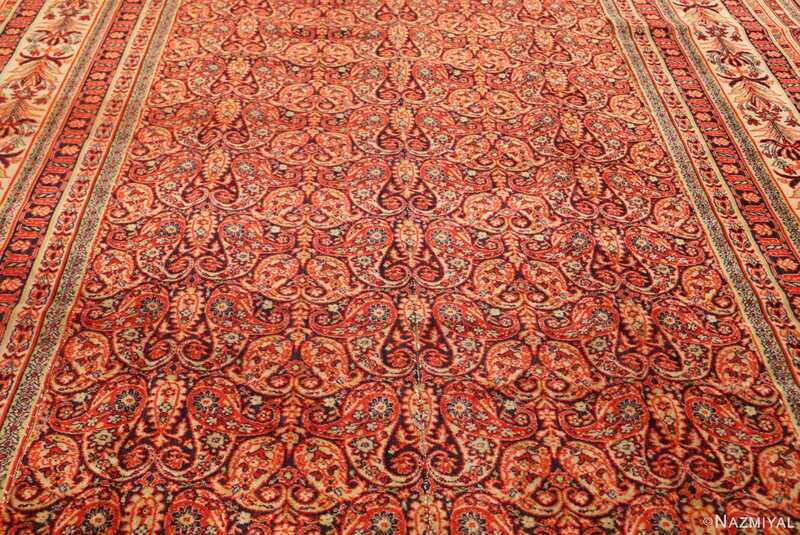 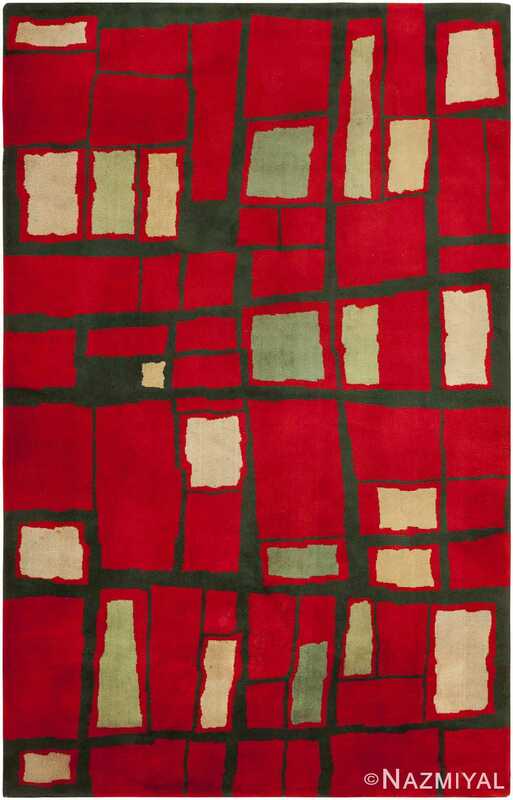 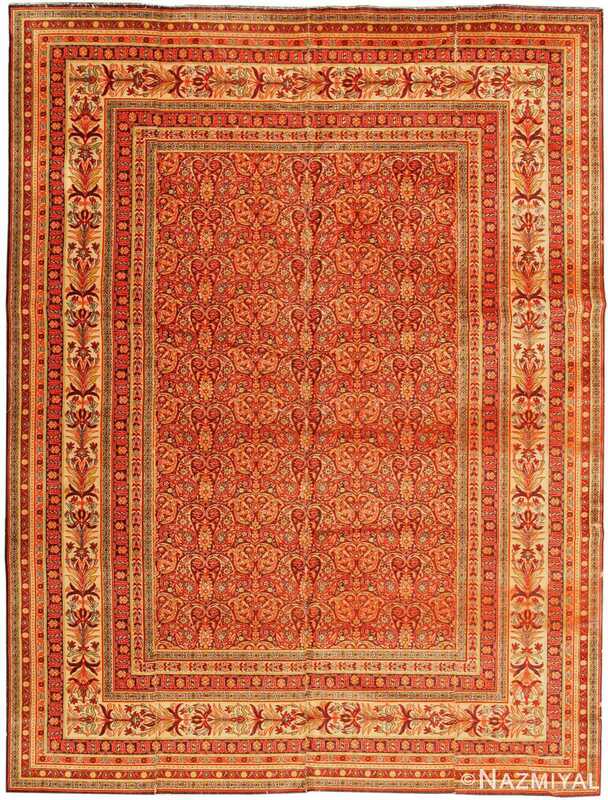 The coloration like the design itself is closely related to luxurious embroidered Kashmir shawls, which may actually have served as the immediate models for this carpet.